But let’s go back to the main topic! 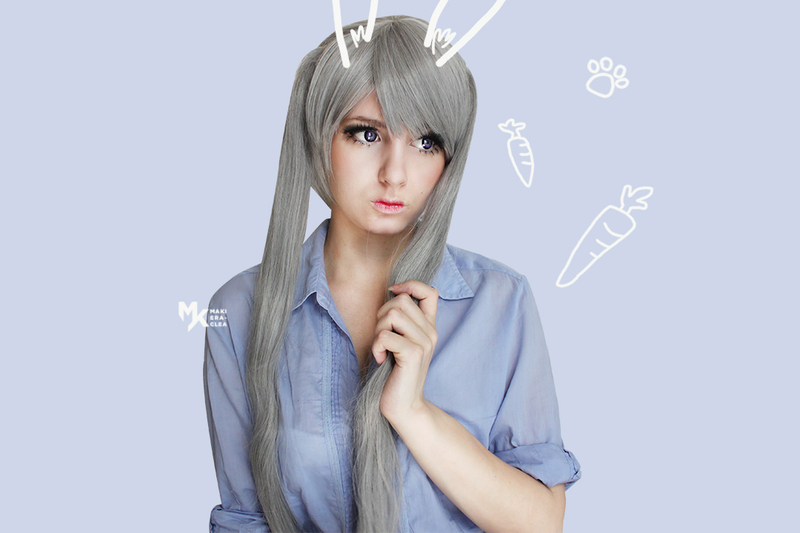 I received this lovely wig from L-email and it’s just perfect to cosplay Judy Hopps from Zootopia! The quality is really good. The twintails are soft and the fiber is opaque and smooth. In my opinion, the stock picture doesn’t really show how nice this wig is, probably because of the direct flash light. The price too is surprising! Only 11$! I’m super happy with this wig. It has a good quality and it’s also super cheap! L-email wig also gave me a tracking number, and the parcel reached my house in one month. I recommnend you this shop because the price range of its products is one of the lowest I’ve ever seen, without giving up on the quality. 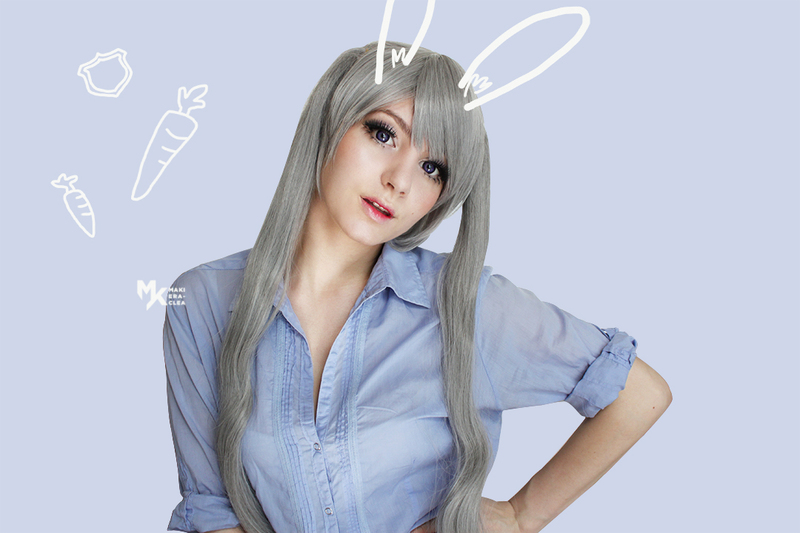 This entry was posted in Buy Cosplay Wigs, Human Hair Wigs, L-email Wig review, Synthetic Lace Wig, Wig Maintenance and Care, Wigs and tagged cosplay role wigs, cosplay wigs, Cute wigs, fashion hairstyles, fashion wigs, grey wig, Judy wigs, L-email wig review, Long Grey Wig, long wigs.